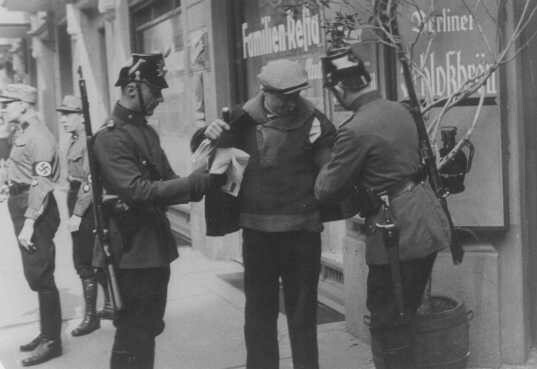 Police search in Berlin. Members of the SA stand nearby. Berlin, Germany, 1933.